Rosé has been described as “romance in a bottle”. Versatile and elegant, this popular wine style has been gaining ground all over the world. 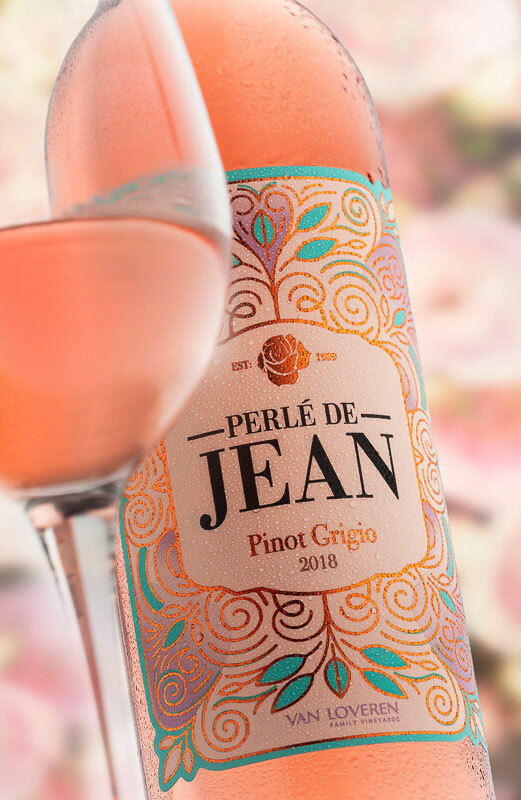 The latest variety to join this wine style in South Africa is Pinot Grigio, and Van Loveren Family Vineyards in the Robertson valley decided to dedicate South Africa’s first Perlé-styled Pinot Grigio Rosé to the late Retief matriarch, Jean, who was well-known for her love of gardening and the lush garden she, with husband Hennie, established at the estate, starting in 1939. This dry, perlé wine is a pure expression of summer and boasts with fresh notes of raspberries, strawberries, red currant, ripe citrus and melon with a lemon undertone. Enjoy this beautiful, rose petal-coloured vino with great company, pork chops, summer salads and sushi. For more information about Perlé de Jean and Van Loveren, visit www.vanloveren.co.za, follow @VanLoverenWines on Twitter or find them on Facebook and Instagram. WIN! We’re giving away a Van Loveren wine hamper (including Van Loveren Perlé de Jean) to the value of R750 each! To enter, simply complete the entry form below. Terms and conditions apply. Competition ends 14 February 2019.